Posted 10:06 pm by Administrator & filed under News. The Hampton Inn Downtown Chicago was recognized with a 2015 Timmy Award from the National Housing & Rehabilitation Association (NH&RA). The project, which was the adaptive reuse of the landmarked 1929 Chicago Motor Club skyscraper, received the special Judges’ Award Winner for Achievement in Sustainability. 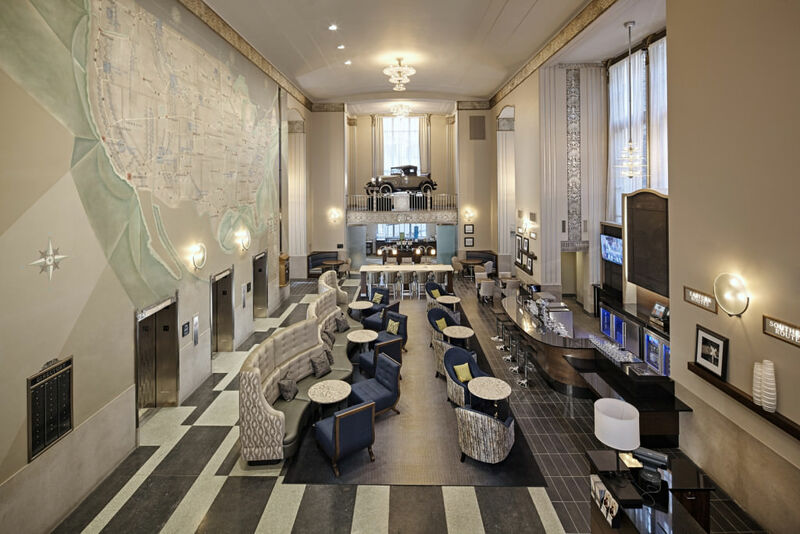 The LEED certified project integrated new high-performance building systems within a contemporary hospitality environment that preserved the building’s historic interiors and Art Deco details. Colloquially known as “The Timmys,” the J. Timothy Anderson Awards for Excellence in Historic Rehabilitation honors innovative redesign and usage of historic properties. The annual awards competition is co-sponsored by the National Trust Community Investment Corporation, a subsidiary of the National Trust for Historic Preservation. A multidisciplinary panel of judges with backgrounds in development, consulting, architecture and historic preservation chose the overall winners from among 13 finalists. Projects were judged for overall design and quality, interpretation and respect of historic elements, innovative approach to construction and use of building materials, community impact, sustainability and financial and market success. Click here for full details about the 2015 Timmy Award winners.